To Dog With Love: Is Natural Enough When It Comes to Dog Food? Is Natural Enough When It Comes to Dog Food? One of my guilty pleasures is watching Extreme Weight Loss with Chris Powell. The stories are inspirational as extremely obese folks transform their lives through exercise and good nutrition. I love seeing Chris's clients succeed and sometimes I even pick up some tips that I can use along the way. So what's this got to do with dog food? Well, not too much -- typically -- but while I was watching a recent episode the subject of balanced nutrition came up. Chris's client was feeling good about the ingredients she chose... lots of natural and fresh foods like the ones pictured above. But Chris pointed out that the balance of what she chose was too heavy on the protein and too light on carbohydrates. So of course, in the magic of TV weight loss shows, celeb chef Rocco DiSpirito appeared and helped this woman balance her diet and prepare the right foods in a healthy way. A love fest of good nutrition with handsome chefs and trainers ensued.... who wouldn't love that kind of attention! So what DOES this have to do with dog food, you ask?! I'm getting to that! 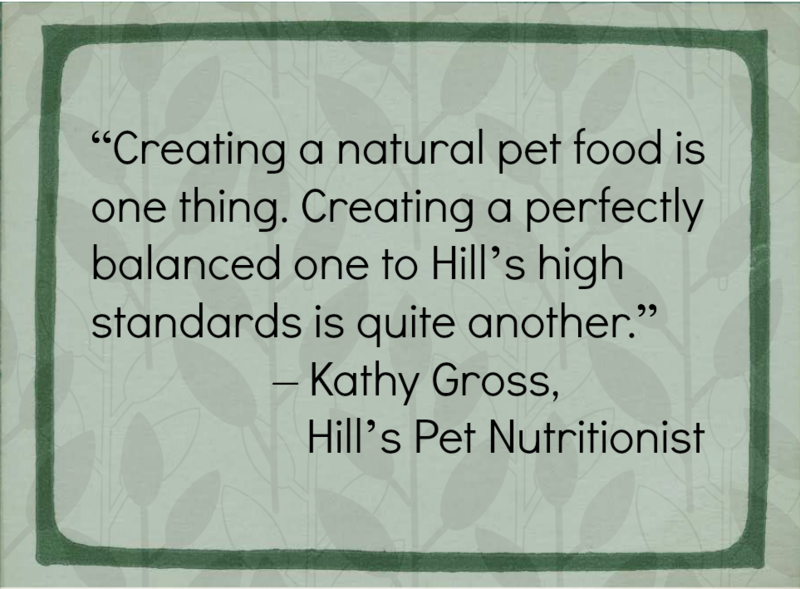 That whole conversation on Extreme Weight Loss made me think about the idea behind Hill's Ideal Balance line of pet foods. And while Rocco (not my Rocco, but the chef Rocco!) may not show up at your door to help with your or your pets' nutritional needs, the folks at Hill's have figured it out for you. I think that's pretty much what Chris Powell was saying too! In fact, you can check out how your natural dog food measures up here. And not to leave out the kitties, here's a natural cat food measuring tool for you too! So while no single ingredient may make a food better or worse, too much of one nutrient (like protein) or too little of another (like phosphorus) can be harmful to a pet’s health. In the new Hill’s Ideal Balance line of pet foods you'll find natural ingredients WITH 100% balanced nutrition guaranteed or your money back! 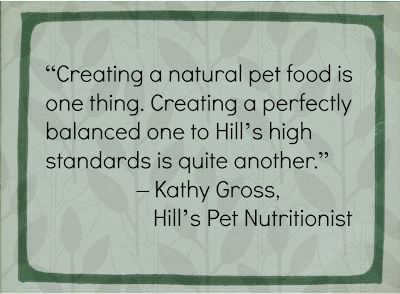 See for yourself in this video featuring Hill’s Pet Nutritionist Kathy Gross, who chooses to feed Hill’s Ideal Balance to her own pets. Warning: this video may make you hungry and make a dash to the fridge! Check out the Ideal Balance website for great information about finding the right Ideal Balance food for your pet, compare for yourself how Ideal Balance stacks up against the competition, and be sure to take advantage of the Try Me Free rebate! Disclaimer: I was compensated for completion of this article. Hill's Pet Nutrition, Inc. is not responsible for the content of this article. Balance is great! The problem is everyone has different ideas about what balance means. And to every person and even to every dog that balance can be different. Although our bodies run somewhat similar, the balanced diet of one person may be different for another. I like how Ideal Balance and other dog foods divide up between different sized dogs, different ages, and different dietary needs. Food trends (and marketing) are as dangerous for dogs as they are for people. Talk to your vet as to what defines balanced nutrition for your dog-usually based on age, weight, and breed. A nutritious, balanced diet is essential to keeping your dog healthy.Excellent site,Really lot of information on doggie diets. Well done, Thanks for Sharing.